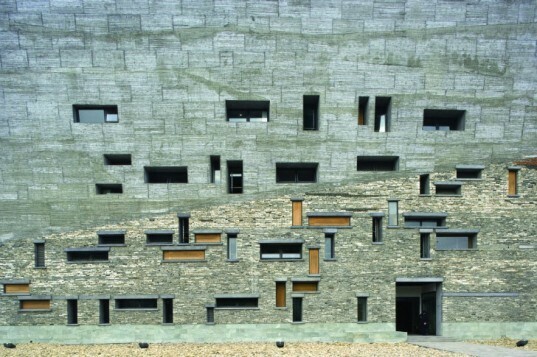 Yesterday Chinese architect Wang Shu was awarded the 2012 Pritzker Prize, one the world's highest honors in architecture. Wang's signature project is the Ningbo History Museum, which offers a perfect example of his style and aesthetic. The powerful and moving museum is very impressively built from rubble by local artisans and craftsmen as a way of honoring and preserving traditional construction methods. In a world where towers are erected in days instead of years, Wang Shu's architecture is devoted to tradition, history, a sense of place, sustainable use of materials, and the people who will inhabit it. Largely unknown outside of China, Wang Shu made headlines around the world this week when we was announced as the 2012 Pritzker Prize Laureate. After reviewing his works, which often make use of recycled materials, we are excited to learn more about this talented architect. Wang Shu, who runs Amateur Architeture Studio with his wife Lu Wengyu, is dedicated to building timeless works that interact with their environment and make use of available materials in an efficient way. Through an international design competition, Wang Shu won first place to design and built the Ningbo History Museum on the east coast of China dedicated to history of humanities and the arts. 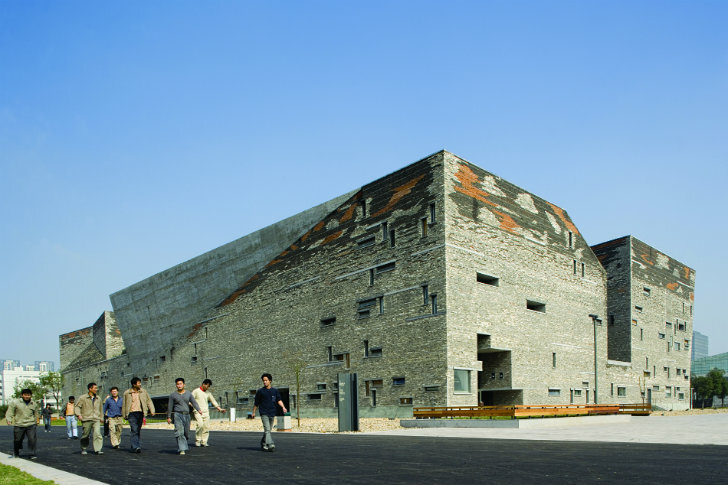 Completed in 2008, Ningbo History Museum is an inverted mountain built from materials that were left after disasters and is an exhibit and work of art itself. In an interview with Pritzker juror Alejandro Aravena on ArchDaily, Wang said he was recovering a tradition that was lost and the "importance of recovering such a technique is pragmatic, historic and cultural." As said in the Jury Citation for the 2012 Pritzker Architecture Prize, "The History Museum at Ningbo is one of those unique buildings that while striking in photos, is even more moving when experienced." "The museum is an urban icon, a well-tuned repository for history and a setting where the visitor comes first." "The richness of the spatial experience, both in the exterior and interior is remarkable. This building embodies strength, pragmatism and emotion all in one." Largely unknown outside of China, Wang Shu made headlines around the world this week when we was announced as the 2012 Pritzker Prize Laureate. After reviewing his works, which often make use of recycled materials, we are excited to learn more about this talented architect. Wang Shu, who runs Amateur Architeture Studio with his wife Lu Wengyu, is dedicated to building timeless works that interact with their environment and make use of available materials in an efficient way.